Retirement planning once revolved around three central planning concerns: private pensions, income from Social Security, and the money that seniors saved for retirement on their own. For many years, that system provided generations of seniors with everything they needed to enjoy retirement in relative comfort. Changing economics and poor central government decision-making has rendered that system all but untenable. Today, everything has changed. Social Security is no longer as reliable as some once believed, and may not be there for future generations. Company pensions are rapidly becoming a thing of the past. Meanwhile, the one thing that Americans can do to prepare for their futures is the one thing that most simply do not do: save and invest. In fact, estimates suggest that more than half of the country’s adults have less than $10,000 in retirement savings. IRA & retirement planning can help you to build assets over time by making sound decisions about the types of retirement accounts you use and which investments can best accomplish your goals. 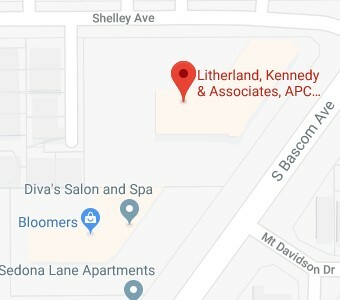 The Litherland, Kennedy & Associates, APC, Attorneys at Law can help to provide the assistance you need to make that planning work for you. We offer advice that is personalized to match your unique circumstances, and can help you regardless of your age or current retirement readiness. Why is IRA & retirement planning important to me? How does IRA & retirement planning work? How can a California IRA & retirement planning attorney help me? Since you can no longer rely on government or private retirement plans to provide for your future needs, your retirement is all up to you. Ultimately, it comes down to a matter of how you picture your golden years. Do you imagine yourself alone in a squalid one-bedroom apartment living on a fixed income, or enjoying all that retirement can offer – traveling to exotic places, visiting family and friends, and pursuing hobbies in that exciting next stage of life? If you want to truly enjoy retirement, then you need to take steps now to ensure that you can do just that. You need to determine how much money you’ll need in those retirement years, and then create a plan that can provide you with those resources. Using IRAs and other retirement vehicles, you can amass the wealth you need for retirement. You just need a commitment to pursuing that goal, and the professional assistance required to show you how to achieve your objectives. A California IRA & retirement planning attorney can ensure that you make informed decisions that avoid many of the most common pitfalls that can prevent you from meeting your goals. You and your attorney should review your IRA options to see which tax-advantages and other features work best for your needs. While some might be drawn to traditional IRAs, you might benefit more from a Roth IRA, SEP IRA, or a simple IRA. Income, tax circumstances, and other factors can have a role to play in determining which option is best for you. Deciding on investment options. An attorney can help you to choose from the available options, and explain the limitations on income and accounts. Develop an investment strategy. You’ll need to decide on your investment strategy, choosing an approximate amount to save and invest, while factoring in how much money you need to retain just to meet the ongoing expense of your lifestyle. You IRA & retirement planning attorney can help you to make sense of all these concerns and assist you with the creation of a strategy that can meet your unique needs. He or she can also provide critical information about creditor protections and other important benefits your IRA account can provide. Litherland, Kennedy & Associates, APC, Attorneys at Law can provide you with the IRA & retirement planning assistance you need to ensure that you get on the path to achieving your retirement dreams. No matter your age, it’s never too early or too late to begin a campaign to build the nest egg you’ll need when you reach those golden years and want to retire in style. If you’re ready for your free IRA & retirement planning consultation, you can contact us using this site or by phone at (408) 356-9200 in Campbell or (831) 476-2400 in Aptos.